For Immediate Release – Halifax: The addition of a pediatric physical medicine and rehabilitation specialist at the IWK is empowering patients and families. Dr. Jordan Sheriko ('07), one of only a handful practicing in the burgeoning field across the country, is the first of his kind in Nova Scotia. Since starting his new position in July 2017 Sheriko has restructured the IWK’s approach to rehabilitation clinics with a focus on patient goals and outcomes rather than on their diagnosis. IWK Rehabilitation services provides services to children and young people with impairments due to injury or disease, with the aim of enabling the highest level possible of physical, cognitive, psychological, and social functioning. This may include specialized care for cerebral palsy, spina bifida, acquired brain injuries, spinal cord injury and disease, musculoskeletal injury and disorders, neuromuscular disorders, and other appropriate populations. Dr. Sheriko grew up in Nova Scotia and attended Acadia University, completing medical school and his pediatric residency at Dalhousie University. 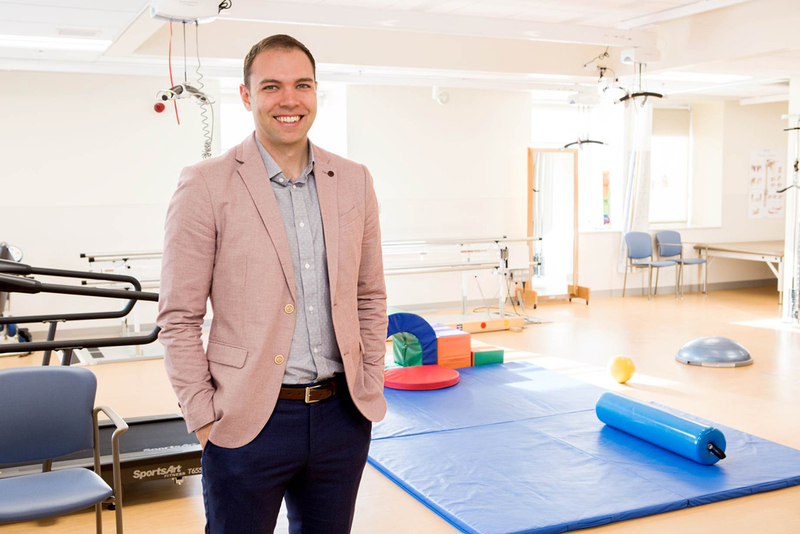 He recently completed a fellowship in pediatric physical medicine and rehabilitation through the University of Ottawa in conjunction with the Children’s Hospital of Eastern Ontario and The Ottawa Hospital Rehabilitation Centre. He is very happy to be back in his new position at the IWK. The IWK Health Centre is the Maritime region's leading health care and research centre dedicated to the well-being of women, children, youth and families. In addition to providing highly specialized and complex care, the IWK provides certain primary care services and is a strong advocate for the health of families. The IWK is a global leader in research and knowledge sharing, and a partner in educating the next generation of health professionals. Visit www.iwk.nshealth.ca for more information.